We all, as new Shin-HyeSun-ologists, need to study these. has been compiling SHS and SHSHS clips. They're still being uploaded as I type this it looks like, but subbed and are great for binging on already. SHS updated her IG today, twice! His name is Yang SungMin (could it be SangMin's name inspiration)? SHS posted flower pic from him. Be nice to this guy and give him some LOVE. He's our HyeSun-ee's boss! Let's think of roles we want her to be in and let him know!! HyeSun-ee is getting prettier and prettier!! I think I'm going to start calling her 우리혜선이 ("oori-HyeSun-ee" - "our HyeSun") here if you don't mind. 즐거운 촬영 끄으으읕! 얼굴도 예쁘고 성격도 좋은 우리 혜선씨♡♡♡ 우리 더 잘해봐요! #신혜선 화이팅! #아쿠탑 화이팅! I think they're catching onto my oori-HyeSun-ee (oori-HyeSun-see) meme. Let's support AquTop also. “Haru” is about a man who repeatedly lives the same day over and over, and that specific day happens to be the day that his daughter died in an accident. As the father lives the same day repeatedly, he tries to uncover the truth of what really happened and save his daughter from death. Actor Kim Myung Min plays the father named Joon Young, and actor Byun Yo Han plays an ambulance driver named Min Chul, who tries to help the father solve the case. 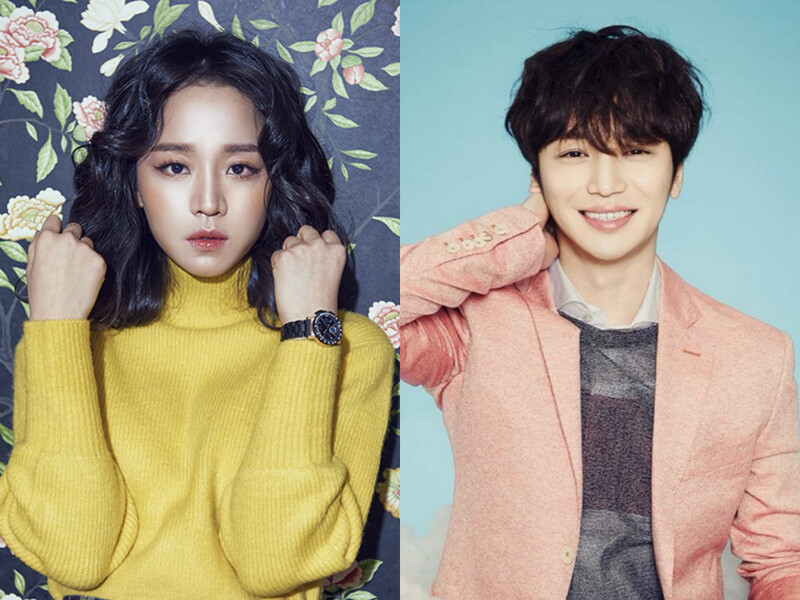 Actress Shin Hye Sun will be playing Byun Yo Han’s wife named Mi Kyung, who will also aid in solving the case. “Haru” started filming on June 29. Old news, but Mi Kyung is the name of her new role. sorry I'll translate this eventually. Instyle Korea September issue...they showed a snippet of her in this. Thank you @OliviaMT ! Sorry for posting so many pics but there are just too many good ones. SHS : Doesn't feel like it's real yet (that it's over)... so as we go through this and converse among ourselves it might start to feel that way, but doesn't feel like it yet, what do I do? Dude: Through this Drama you've received much love. Dude: Many ?? have loved YeonTae. Dude: [unintelligible] will be different. SHS : For loving and rooting for YeonTae so much, was thankful and overwhelmed and from now going forward also, ... more work hard, I am resolved to do. Yes, thank you. These show here cute 팔자 gait. for coloring thusly, is awarded this certificate. **. Shin HyeSun's award title is called Yeon(Ae)Doo(Double Portion)Sang, YeonAe being 'dating' or 'romanctic love', so if the syllable spelled 'Do', meaning 2, but is read like 'doh' as in do-uble, the pun on her title is also quite nicely translated. ***. Sweet-Pumpkin sounds like Dan-Ho-Bak, but the adj. Dan-Ho carries a meaning 'resolute' (so when SangMin called her that name from early on, it carried a double meaning of her inadvertent cruelty in firmly rejecting his feelings, not just that she's sweet or adorable like a pumpkin). This play on words was probably missed by many unless explained. IG caption says, "Plenty of leisure time, but the day feels empty for some reason, haha Miss you, YeonTae, smirksmirk." So do we all, already, YeonDoo-yah. it seems like filming has begun for our SHS's next project but it looks like she has not started filming for her parts yet, given the earlier IG post in the thread.